In everyday life man is not insured against the loss or theft of your passport. But, unfortunately, it can be used by unscrupulous people. And at one point, the victim learns that the owner of the troubled firm or the owner of a large loan. Finding or having stolen passport, the scammer can stick in this photo. As a result, people can live long under false name and surname. 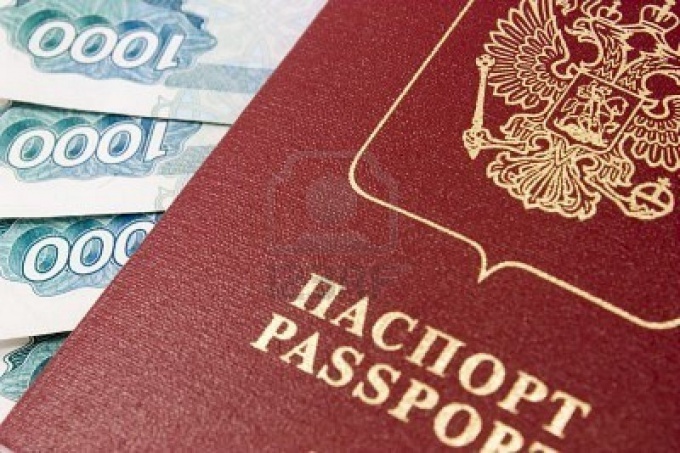 It is possible that the scammer tries to enter home of the present owner of the passport. Fake passport fraud can get credit. To do this it is difficult, however, criminals often conspire with dishonest Bank employees. On a foreign passport or passport fraudsters can register a company and implement it through questionable transactions. In addition, the passport holder is appointed and the formal CEO of that firm. Then there is the threat of bringing a person to liability for wrongful acts committed by fraudsters. Even having only passport data of the person, the criminal may get him in trouble. For example, the fraudster enters into a contract on behalf of another person and indicates it is his / her passport data. The counterparty, without checking the passport, sign all the papers. Next, after receiving this agreement the money, the scammer disappears soon safely. As a result, the injured party starts to present their claims to the unsuspecting owner of the passport. Using someone else's passport data, attackers can make the ownership of any property, for example, a car. And if this car will be harmed, the requirements will also be addressed to the owner of the passport. If a person has lost the passport or have it stolen, should immediately write a statement to the police. In addition, we should immediately begin a new passport. Possibly man should not submit your passport or a copy of it to outsiders, even for a few hours. If this happens, it is necessary to be noted, when and to whom was given the passport or its data. In case of an unpleasant situation it will be easier to trace fraudsters. If the person finds out that his name was a company or he is its Director, should immediately contact the tax office at your place of residence, as well as the police. The fact that registration on a false passport is a criminal offence. In the case when crooks scored on the man a loan, you need to obtain from the Bank or collection company a copy of the credit agreement. After that the victim should go to court with the claim about recognition of such agreement invalid. In the course of the proceedings should be put before the court the question of the appointment of expert handwriting analysis. So it will be revealed the forgery of the signatures on the loan agreement. Similarly, should do, and in case of execution of criminals other treaties.